NSW Nationals Member for Upper Hunter Michael Johnsen joined with local apprentices at Muswellbrook TAFE to announce that the Hunter region was expected to experience the highest employment growth to 2021. The projected 4.2 per cent growth was due to a strong mining sector and related industries. 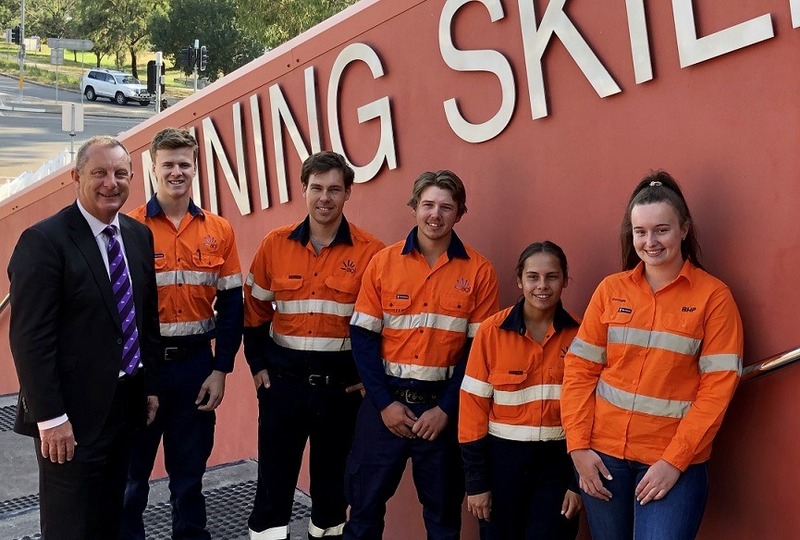 Mr Johnsen said 32 local apprentices would take advantage of the opportunities this presented by embarking on a learning journey in the TAFE NSW Muswellbrook Mining Skills Program. The 25 mining projects in the NSW planning system have the potential to deliver almost $11 billion in investment over the next 20 years, and nine are in the Hunter region pipeline, according to NSW Mining. These alone have the potential to deliver more than $1.5 billion in investment and 3400-plus jobs. The Mining Skills Program’s effectiveness over the past 13 years is due to tight partnerships with some of the Hunter region’s biggest employers. TAFE NSW works closely with them to ensure it gives local apprentices the abilities and knowledge needed to be job-ready, to smoothly transition into a career in industry. Employer participants include AGL Macquarie, Bengalla Mining Company, BHP-Mount Arthur, Hitachi Construction Machinery, Port Waratah Coal Services and Yancoal-Mount Thorley Warkworth. Programmed and MIGAS are also involved, providing training funding for the apprentices who then secure employment with the aforementioned companies.